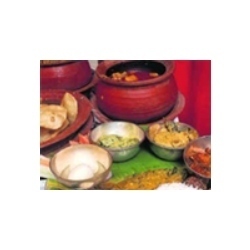 We are engaged in offering our clients a wide array of Bengali Cuisine. Our range of delicacies includes a variety of rice dishes and fresh water fish delicacies, delicious rice main courses, curries, fish dishes, chicken cuisines, pulses, fries, chutneys, Bengali sweets, snacks and many more. These dishes are treasured for their great taste. S. K. Caterers pvt. Ltd. Is caterers & the promoters of the company have been in the business for the past 2 decades specializing in hassle free tailor made services for all occasions like weddings etc.